I realize most of my Practically Free Friday posts are pretty much instant gratification projects, but that’s how I roll sometimes. I’m juggling a lot right now, and this little Friday commitment I made, silly as it is, helps me remember to take time to do something creative, using what I’ve already got on hand, and re-center myself. 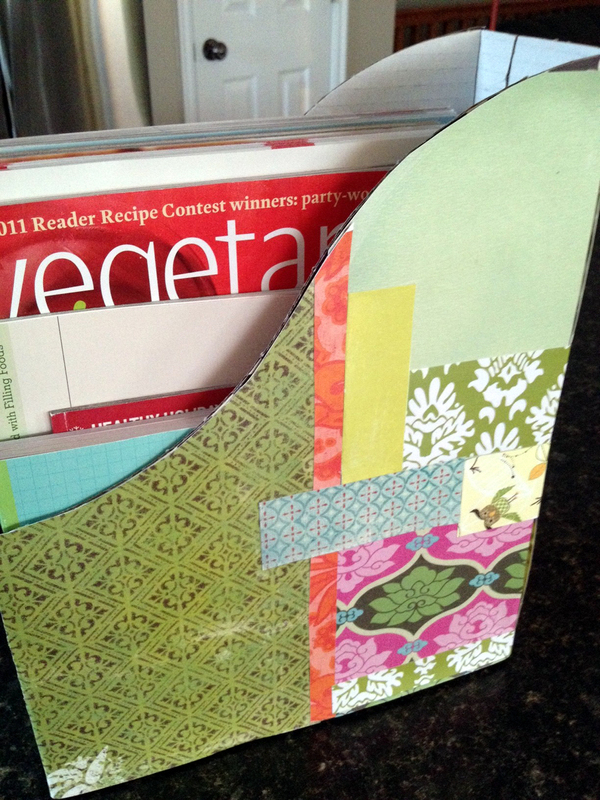 To make this cookbook holder, I simply applied various craft paper scraps to a magazine file I already owned. It was from a 5-pack of magazine files from IKEA, and the outside design was wearing off. Covering it with scraps made the project free. I applied a few layers of Mod Podge to seal it up. 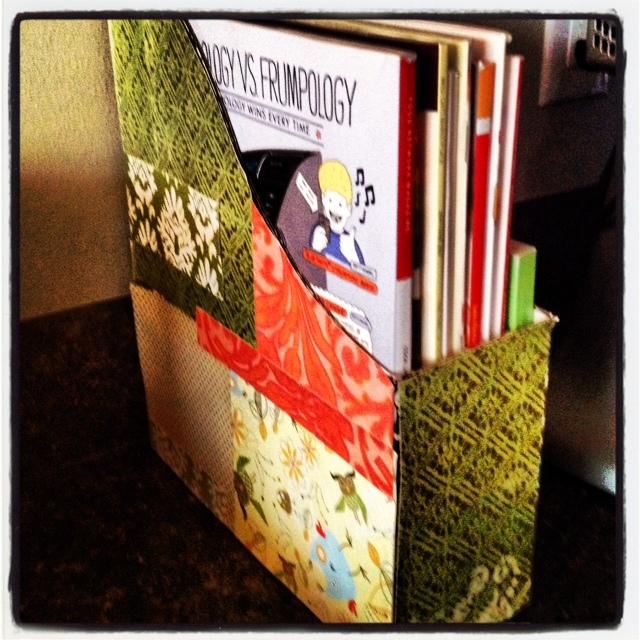 Now my cooking magazines look cute all tucked in by my cookbooks. 🙂 Here’s the other side. I’m going to make one for my office at work with lots of random instagram snaps, magazine cutouts and such, for a little personality in my cubicle. Previous Previous post: july already.